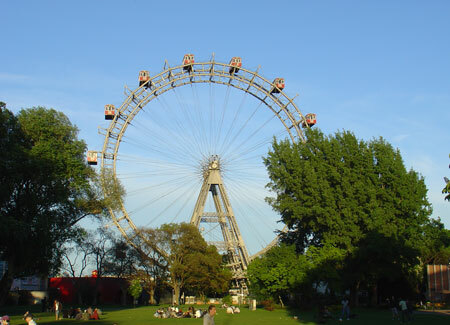 Vienna’s Iconic Giant Wheel is never far away from the tournament venues. The area Campus WU and the tournament hotels (which are less than a stone’s throw away) will be your world for the Vienna EUDC week. We have been working on creating an environment where you can fully focus on the tournament and do not need to worry about changing buses, transport, connections or similar. 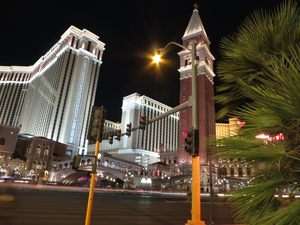 Obviously, this is Las Vegas, not Vienna. Frankly, our socials will not be themed to the same extend, but they might still be able to take you away a bit. Campus WU is uniquely located close to Prater, which is an attraction park and the city’s green oasis at the same time. At Vienna EUDC seek to make the most of this splendid location. Every tournament day we will introduce you to a different face of the area and take to you with us into a of Vienna’s magical worlds. We themed the socials in the first three days to give you a relaxing, yet varied programme while the tournament is at its height. After the break night, the programme changes: First, we want you cool down after and recover from the prelim-days. Then, we want you to enjoy beautiful Vienna at its best. Looking forward to hosting you very soon! 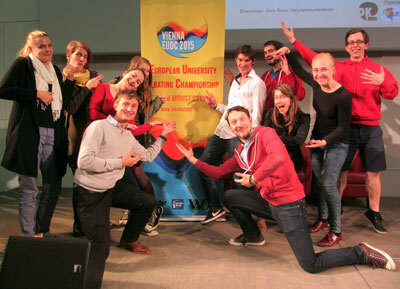 Including Crew and supporters Vienna EUDC will count more than thousand participants over the week. As most slots are confirmed by now and reallocations progress fast, we are confident that we will be booked out to the last team and adjudicator slot. A larger crowd of independent adjudicators will secure the quality of the debates together with our CA-Team, who has been working hard over the past years. Quite likely, Vienna EUDC will be larger than many previous EUDC, and we are already working on optimising this logistical challenge. Campus WU offers IT infrastructure that has not been available to previous EUDC. Participants will notice this from the beginning to the end of the tournament. For the first time ever we use specifically programmed software for registration, which already saves us a great deal of work. However, more strikingly, there is new, cloud-based tab software already being tested. Registration and tab integrate to speed up processes. Expect quicker check-ins, faster and better draws and DON’T forget your smart phone! Enjoy a new vibe this summer. A fantastic EUDC is awaiting you.